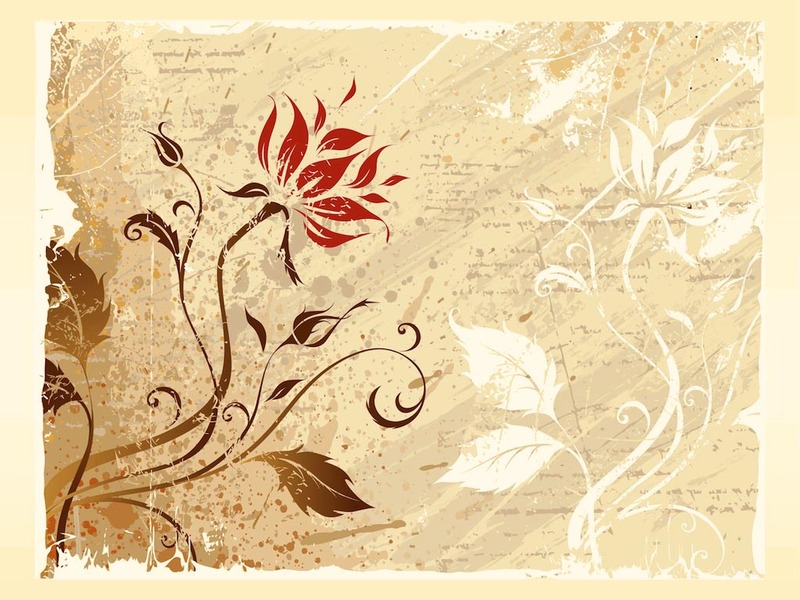 Vector design template with floral decorations and grunge patterns. Silhouettes of a blooming flower with big gradient color leaves. Swirling stems of the delicate rose blossom and buds on a grunge background. Free vector graphics to use in all your nature, flowers, floral and plants projects. Tags: Decal, Flower, Plant, Retro, Rose, Splatters, Textures, Vintage.